I have railed against those insipid saucersful of vegetables that restaurants call seasonal vegetables before. Let’s be clear, that dish of zucchini or yellow summer squash with horrid baby carrots and perhaps the odd bit of bell pepper or broccoli has nothing to do with what happens to be growing at the moment. It is either what they have leftover or what is cheapest or what comes out of a frozen bag (shudder!) If you are going to make this pathetic melange at least use fresh ingredients and put a little effort into it. I took out the seeds and salted the zucchini and left it to sit for an hour or so to release some of its liquid and firm up. Into an oiled pan first go the onions and poblano chile for a little spice. When they are soft add the rinsed and patted dry zucchini and a carrot. (OMG, I actually spent a whole minute peeling and cutting it up instead of using tasteless baby carrots!) Cook this until crisp tender. Then I added the sliced garlic and halved cherry tomatoes. I seasoned the dish with a little chipotle powder and salt. It tasted good! The rest of the meal included a mash of leftover rutabagas and a microwaved sweet potato. 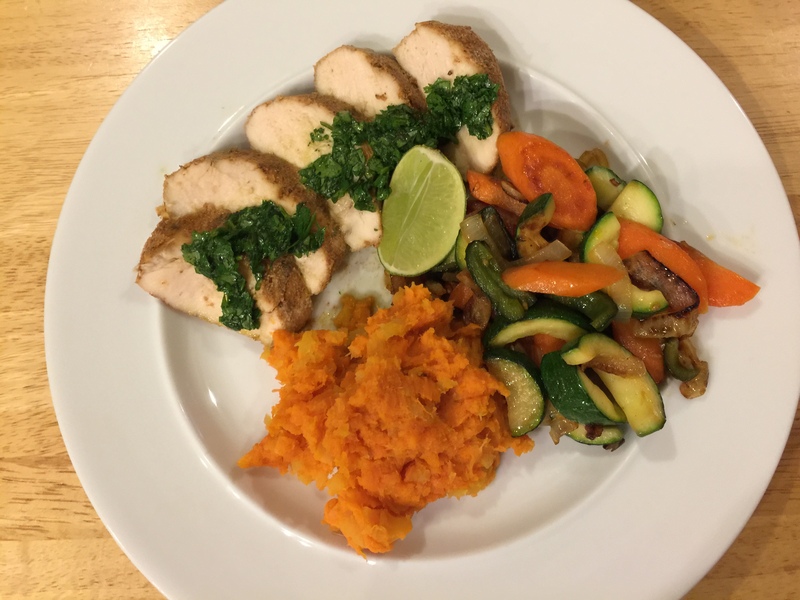 John sous vide the chicken breast and served it with a lime/cilantro sauce. 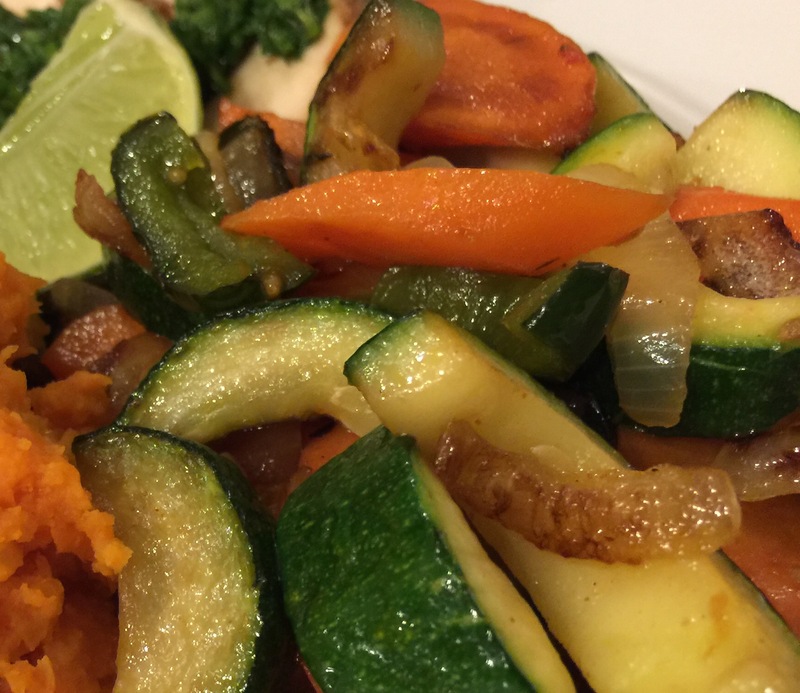 This entry was posted in leftovers, Poultry, Vegetables and tagged carrots, chicken breast, Onions, poblano chile, sweet potatoes, zucchini. Bookmark the permalink.